Mayonnaise, it looks fairly innocent doesn’t it, after all, if you’re having a healthy salad with a dollop on top how bad can it be? Often when I am speaking to my clients they are baffled as to why they seem to be putting on weight when ‘I only had a salad’ is the mantra! Salads are great any time of the year, in sunny climes its just what you want and in the colder months there are many hot tasty salads that you can have without the stodge factor. What you’re putting on top of your salads in the form of dressings could be your down fall. It is well documented that some take away salads available contain more fat and calories than if you’d gone for the burger! Home made salad and foods is always the best option. You want your food with as minimal processing as possible, that way you can be assured of only health benefits not health ailments. 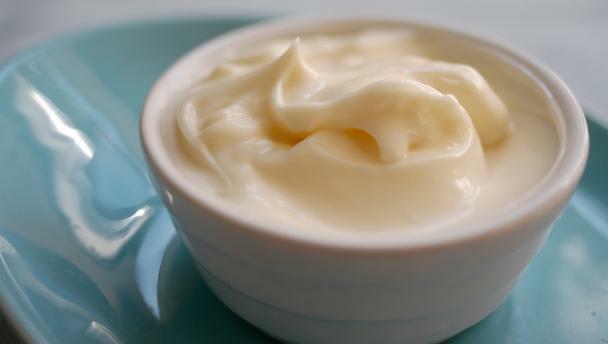 Mayonnaise – This is essentially oil. Imagine a whole jar of mayonnaise right in front of you, now see up to 80% of the jar just filled with oil. It won’t even be healthy Olive Oil, but plain old artery clogging vegetable oil. 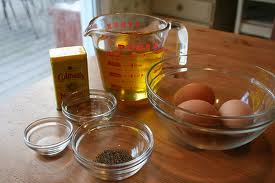 Now plop a few raw eggs on top, add some sugar, salt and bingo you have a ‘tasty’ fat filled dressing. All the good work you are doing undone just like that. Lets face it, who stops at one spoonful of mayo? A few good tablespoons of it later and before you know it you’ve added up to 400 calories and nearly 45 grams of fat to your healthy meal. You might as well of had a fry up for your calories and fat. Commercially produced mayonnaise and other cream/salad dressing are manufactured on a huge scale. Once made it will sit around in packaging, boxing, warehouses, store rooms, back of the cupboards for an age before it lands on your plate. They do not want this stuff to go off so it is packed full of sugar, salt, chemicals and preservatives which again are completely unhealthy for you. 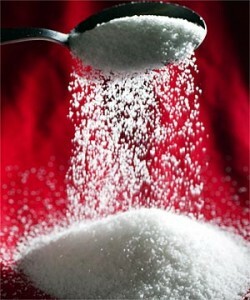 Sugar and salt are commonly used as ‘fillers’ as they help to preserve the food item and they are cheap to use. You know already that this is not a good sign and a topic I will cover in further detail in another post. Chemicals will not give you a healthy body, they are chemical and cause an imbalance in your system. This prevents your body from functionally optimally as it has all these chemicals and toxins to deal with. Low fat options are even worse, they have to add the flavour somehow – there’s a chemical for that! There are lots of ways you can add flavour without compromising your health. For dressings experiment with different salad vinegars, fresh lemon juice or a dash of healing olive oil. If you need something creamy try low-fat yogurt or fromage frais, I promise it will look just as good, taste even better and you will reap the benefits. If you would like to discover how my hypnotherapy for weight loss can help you in Leicester UK or Dubai UAE please feel free to contact me and I will be happy to help. You can also post on my Facebook wall any comments, queries or feedback. Do you think you are addicted to chocolate? How much chocolate do you eat a week.. or a day? Are you happy with a treat size or do you go for the extra large version of your favourite chocolate bar? For some people, chocolate is their drug of choice, and the substance they turn to get their ‘fix’ is smooth, glossy, shiny often beautifully wrapped and readily available from corner shops to vending machines. Maybe you’re the type of person who cannot have a small piece, you must have the whole bar or box?! A lot of my clients claim to have very healthy eating plans but once the demon chocolate raises it head, then all self-control is out of the window and we stuff as much chocolate down our necks as possible, leaving us feeling guilty and wishing we hadn’t touched the stuff. Never mind the increase in weight gained. Being truly addicted to something is a serious matter but the good news is you do have the power to change this behaviour and overcome your chocolate habit. It’s said that it takes 21 days to break a habit, so if you manage to e.g. not bite your nails for 21 days you are well on your way to never biting your nails again. To help support you through breaking your chocolate addiction, I have devised my Chocolate Therapy Programme to help you break your habit once and for all. You will find it easy to refrain from eating chocolate, losing weight if you need to and no longer sabotaging your dieting efforts. In a single session we will control your cravings and with Hypnosis help you to keep off chocolate for a minimum of 21 days, after which you will have broken your habit and feel fitter, healthier and lighter and no longer wanting to have your chocolate fix. The session is £135 and lasts 1.5 – 2 hours in my private retreat in rural South Leicestershire. I will also teach you tools that you will use to help yourself to stick to your goals, and finally get control back over your chocolate eating habits! Become leaner, healthier, fitter and happier, call me to see how I can help you now. 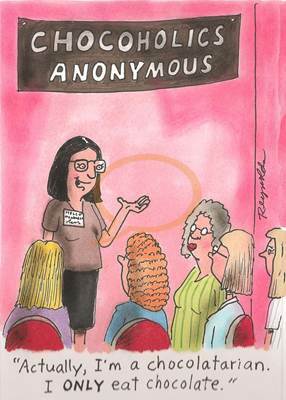 See my Hypnotherapy and Counselling in Leicestershire website, I’m also on Facebook. Call me on Freephone 0800 62 8159 for your free telephone consultation or email leicstherapy@gmail.com I look forward to hearing from you soon. I Can’t Get Much Sleep? Sleep is a natural state of bodily rest and regular sleep is essential for survival. We have to sleep well because it is essential to maintaining normal levels of cognitive skills such as speech, memory, innovative and flexible thinking. Sleep plays a significant role in brain development. Adults generally need 7 – 8 hours sleep a night, this can decrease as the person gets older. By getting sufficient amounts of sleep, this helps with alertness, memory and problem solving, and overall health. A lack of sleep can interfere with the normal hormonal functions of the body, which assist in weight loss and have a detrimental effect to your weight loss goals. Getting enough sleep allows the body to metabolise food, especially carbohydrates, and stabilises your glucose and insulin levels, which prevents excessive storage of body fat. Adequate sleep is a contributing factor in successful weight loss and is an easy way to help boost your weight-loss plan. The hormones ghrelin and leptin work together in regulating our appetite and food consumption and are a central link between sleep and weight loss. Ghrelin is responsible for regulating your food cravings and feelings of hunger, and leptin tells the body when to stop eating. When grhelin and leptin are compromised, the outcome is this vicious cycle of being hungry all the time and not knowing when to stop eating. A lack of sleep, especially over a long period, throws these hormones out of balance and greatly impacts your weight loss, even if you are eating well and exercising. There is a link between cortisol, sleep and weight loss. Cortisol, the so-called “stress hormone” released by the adrenal glands, has received a great deal of attention because of its link to stress and weight gain. When you are not getting enough sleep, your body is stressed, which heightens cortisol levels. The body goes into “flight or fight” mode and stores fat, particularly in the abdominal area. Eight hours of sleep each night remains the recommended amount to positively affect weight loss and your overall health. For a restful night’s sleep, minimise caffeine, nicotine and alcohol before bedtime. Avoid eating heavy foods and exercising just before sleep. Make it a ritual to unwind a half-hour to before you go to bed by doing something relaxing and quiet.